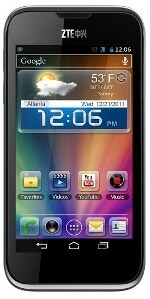 Announced in August 2012, the ZTE Grand X IN is an Intel-based smartphone. The company’s flagship smartphone runs Android 4.0 and features a 4.3-inch screen, an Intel Atom Z2460 processor, LTE, and NFC. The ZTE Grand X IN is now available in Austria, Greece, Hungary, Norway, Poland, Romania, Slovakia, and Sweden.